“In my village I cannot get enough food even if we have money. Here in the city, at least I can buy food for my family if we could earn money”, says Kanchi Maya Yonzan, a 24 years old housewife and mother of 2. Like many other villagers, Yonzan was forced to migrate to the city in order to provide food for her family. Living with hunger would be bearable for her,but when it comes to her babies, no mother could accept that situation. Kanchi Maya Yonzan had to find a solution for better life of her children. For her, the obvious choice for the welfare of her family was moving to the city. It has been more than 2 years since she has migrated from remote village of Bara, Nizghat. 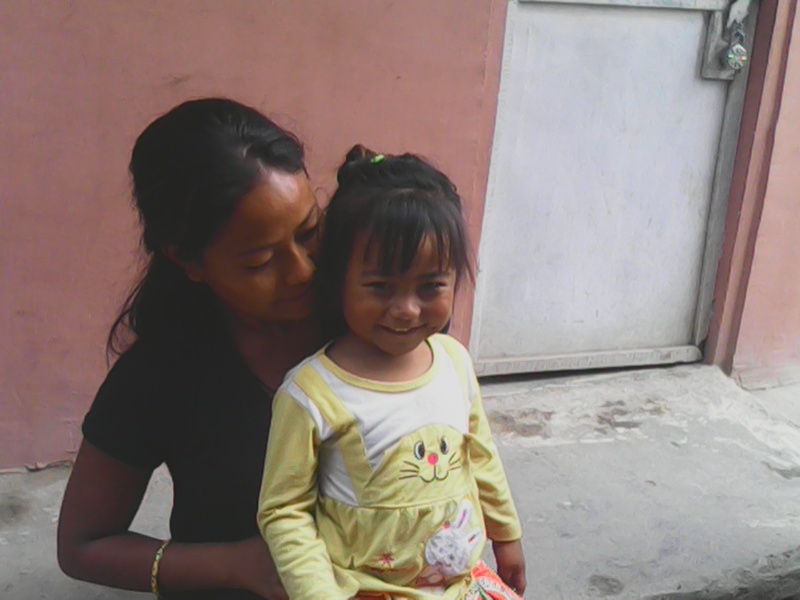 Upon arrival to Kathmandu, her initial challenge was finding a shelter for her family. The only place she could find was a squatter settlement of Bansighat. The rent was cheap, and she had a relative who helped her settle. She readily admits the area has various problems. There is no safe drinking water and the settlement lies beside the highly polluted Bagmati River. Still, Banshigat provides an affordable place where she can live, while dreaming and planning for a better life for her family. “It was hard for me to move to the city and survive here. At present my husband works in Qatar and the money is barely enough for our family as I have to educate my 4 year old daughter.” It has been 6 months since her husband has traveled abroad to work, and the remittance he sends back is good enough to fulfill the needs of the family. However, Yonzan is concernedthat after a few years, she has to educate her 1 years old son, and the money may not be enough. “I want to find a job for myself so thatI too can support my family like my husband. But I am unskilled and I have to look after my children.” Living in Bansighat was a solution for fulfilling the basic needs of her family, but new challenges will quickly arrive. There is not a day that passes Yonzan does not worry about how she will afford a proper education for her children and find the skills she needs to create a better life for her family.